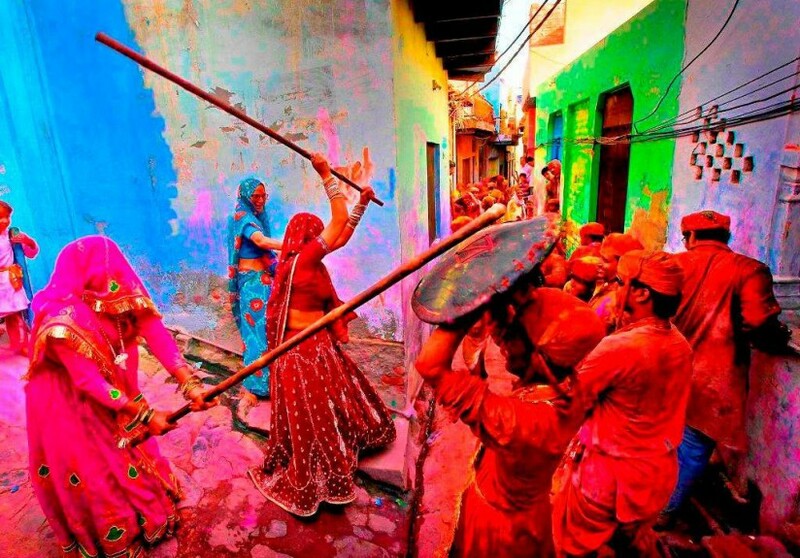 Cheerful Holi Celebrations: Adding More Colors in Vibrant India! Holi is undoubtedly a unique festival which is loved by people of India and by people across the globe. An exuberant yet the colorful celebration of Holi, is of many legends, mythologies and deities that is associated with it. The festival of Holi is referred as much by devotion, religious fever as it is with traditional dances, loud music and of course forceful smearing of Holi Gulaal or ‘Abeer’ on faces of near and dear ones. It is interesting to notice that in India the Holi celebrations in different cities and states follow unique traditions and rituals that are very different from each other. 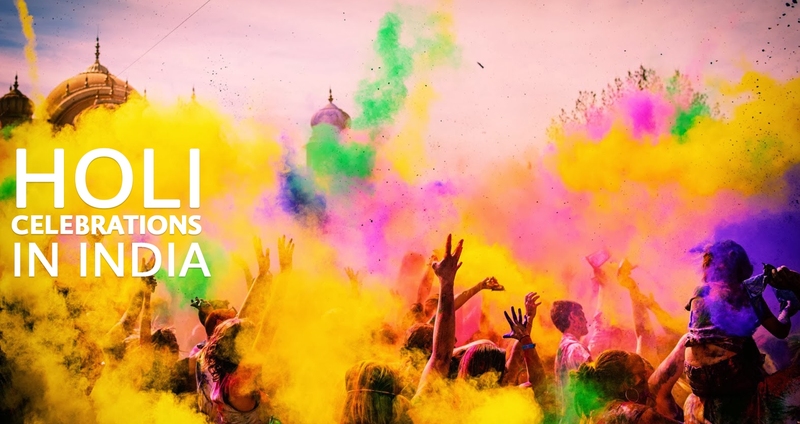 We bring before you the top 5 destinations where Holi is not only a riot of colors but yes a celebration of meaning amalgamation of devotion and tradition. The most significant place for Holi celebration in India is in the city of Mathura where Lord Krishna was born and in the Vrindavan where he was raised. 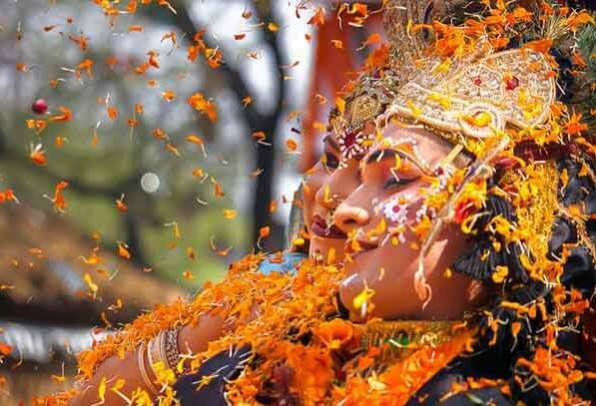 Unlike Holi celebration in rest of the country, Holi in Matura and Vrindavan is associated with Lord Krishna, the supreme deity and to his many popular legends. It is being believed by the people in these cities that Holi fest is an initiative of Lord Krishna. Krishna Leela or Raas Leela which is the popular dramatization of Krishna courting beautiful Goddess Radha that is depicted in a Play and people shower flowers and dry colors on one another with loud chants of ‘Radhe Radhe’. Near to Mathura is the small town of Barsane, which is known for a very unique Holi celebration. It is referred as Lath Maar Holi. Here Lath means bamboo stick that is used by the women. The act of coloring one another in Barsane is taken in very coquettish form. Men rush towards women to drench them in colored water and in order to save them women use these handy laths to beat men. It’s a funfilled act to watch and participate in as well. In Goa, Holi is celebrated as Shigmotsav and is basically a kind of fusion between Holi, the festival of colors and full-fledged carnival. Shigmotsav in Goa is celebrated over an entire fortnight. The grand finale of the festival involves folk dances, colorful parades and which is organized by the local people of Goa. People of every religion and walks of life celebrate the fest by coming together and drenching each other in water colors. Artistically designed shimmering floats in the parade is the main attraction and are taken out Panaji and places like Mapusa, Vasco, Ponda and Madgaon. Holi in Shantiniketan University town that is 180 kilometers away from Kolkata and is associated with Nobel Laureate Rabindra Nath Tagore offers a flavorful, colorful and aesthetic touch to Holi celebration. 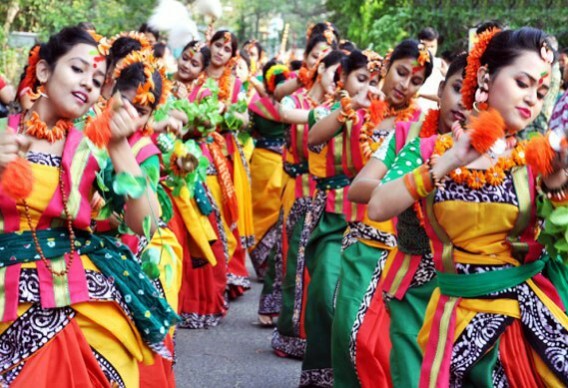 It’s a cultural extravaganza that is also known Vasant Utsav where students put up cultural performances, plays, dance shows and all works associated Rabindra Nath Tagore. This cultural performance is then followed with joyous playing of Holi with colors (Gulaal). 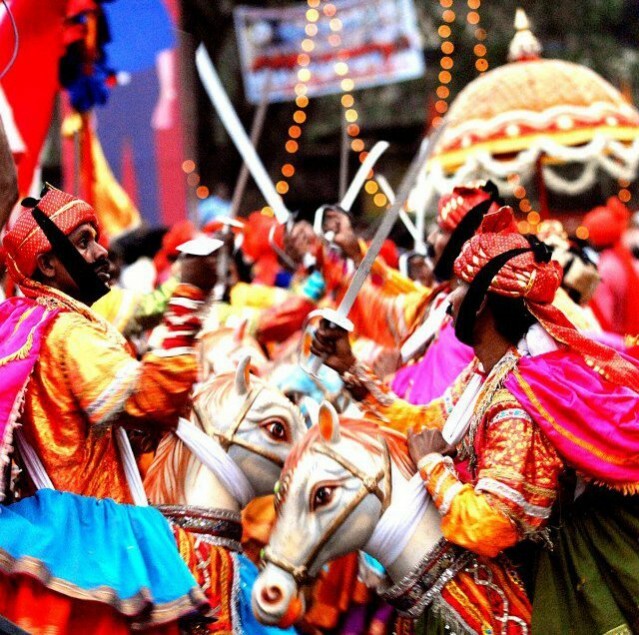 In Rajasthan’s capital Jaipur, Holi is simply a majestic affair with well known Elephant Festival that takes place a day before the celebration of the colorful festival of Holi. 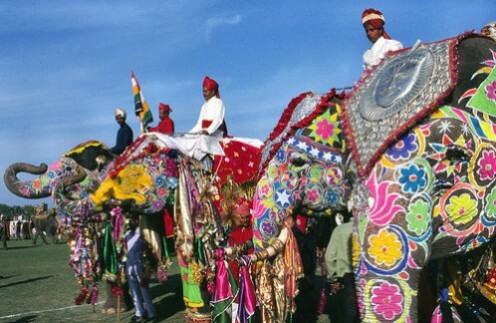 In the festival, Elephants are led in the glorious procession that is taken across the streets of Jaipur. Further activities like elephant polo, tug of war and elephant races take place in the festival celebration. Later the festivity comes to an end with playing of colors and amazing firework display. This is how people all across India celebrate the cheerful festival of Colors, Holi. However despite of all these celebration activities of Holi, people add more joyous element into the festival of colors by gifting near and dear ones with delightful Holi gifts. The one-stop destination for online Holi gifts shopping in India is GiftaLove! From Haldiram Holi Gifts to wide array of Gujiya and thandai combos, flowers hampers, colors, sprays, Pichkari and lot more is there to buy online.